Do you like to make creative snacks or desserts using every day ingredients? I recently used Snack Packs to make a easy, semi-homemade version of a fancy dessert I had on vacation. I've discovered that Snack Packs are an easy way to make fun creations for your kids or for even yourself! You can add in a variety of mix-ins. This also a fun and easy way to get your kids in the kitchen and involved in the foods that they make. The pudding cups have new easy open lids and your kids can add all of the ingredients that they want! I decided to make a version spin off a panna cotta dessert that I had in San Francisco a couple years ago. It was a salted caramel panna cotta, then topped with chocolate ganache and caramel popcorn. It was a such a unique and fun dessert that I've been meaning to try my own hand at making my own. For this recipe, I decided to make a version that takes a considerable less amount of time that you can make any day and every day which uses ingredients that I found at the local Walmart by using vanilla pudding, then adding a chocolate shell, and butter toffee popcorn. 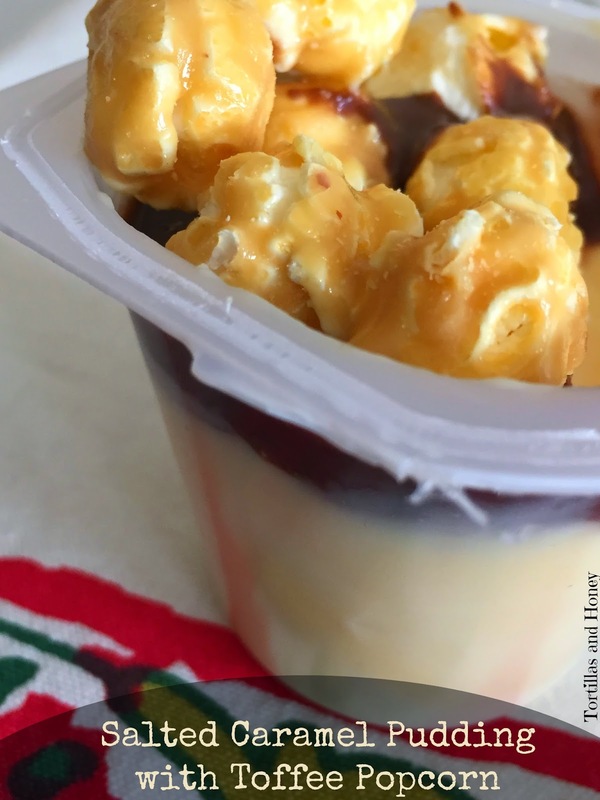 Please visit Snack Pack Mix-Ins for more fun ideas on how to incorporate different mix-ins in your pudding cups! Remove lid from the pudding and mix-in 1.5 teaspoons of caramel topping. Drizzle 1-2 tablespoons chocolate flavored ice cream shell topping, or until the surface of the pudding in covered. Gently place 1/4 cup popcorn on top of the shell topping, then place in freezer 5-10 minutes or until the chocolate shell hardens. Serve! ohemgeeeeee-I'm dying. I'd gobble this up in 2 seconds flat!